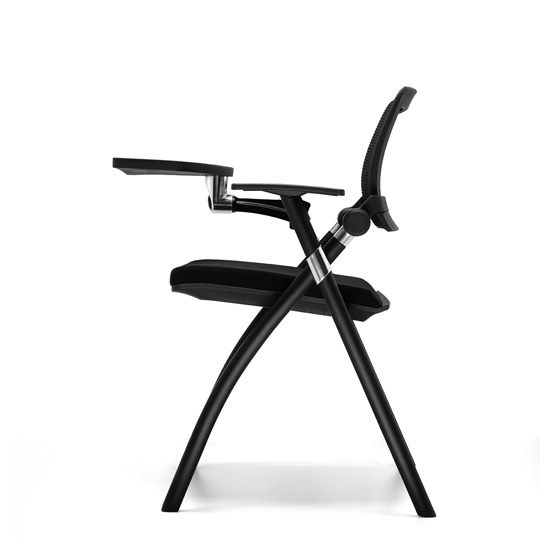 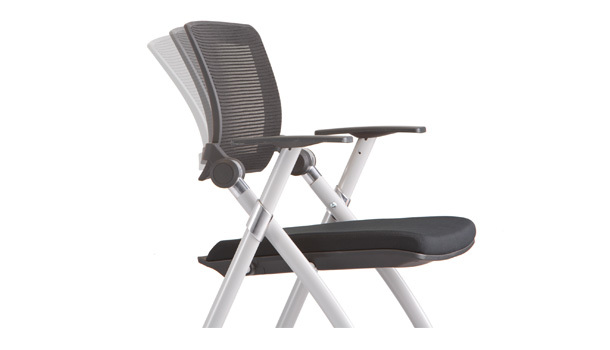 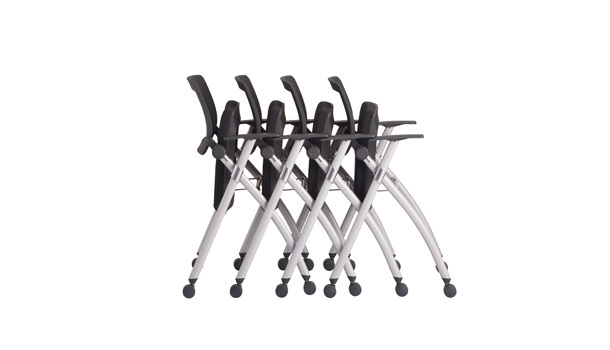 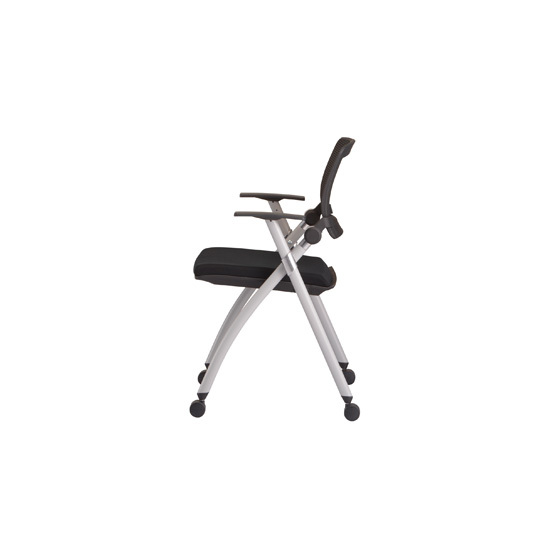 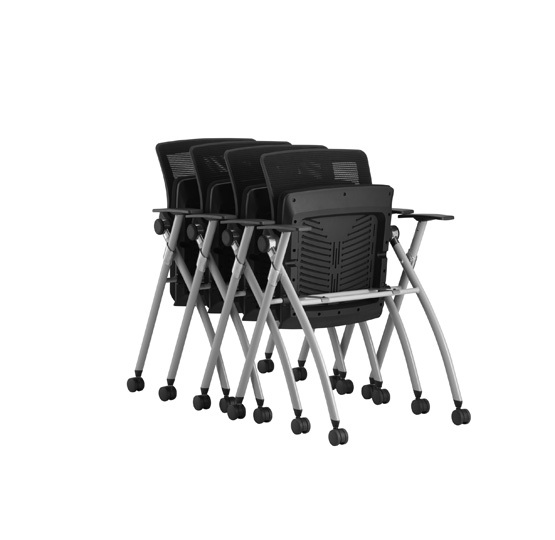 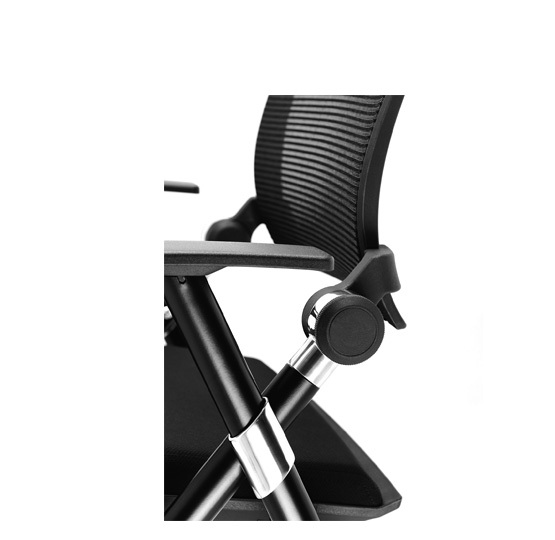 Limber is a range of space saving training chairs, recognized by its elegant and ergonomic design. 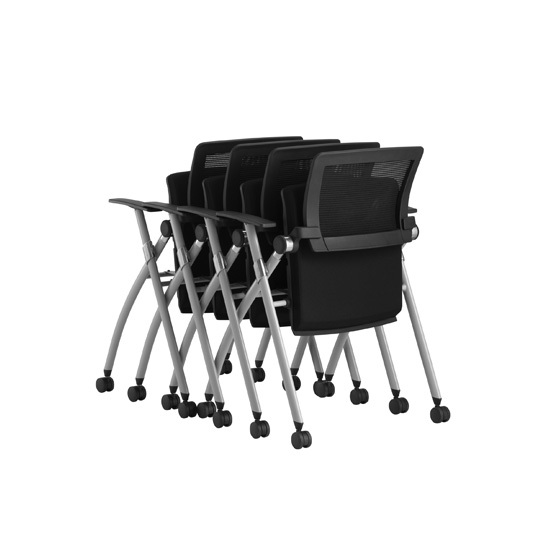 These lightweight yet sturdy chairs provide exceptional comfort to the user with its dynamic design line and human-centered functions. 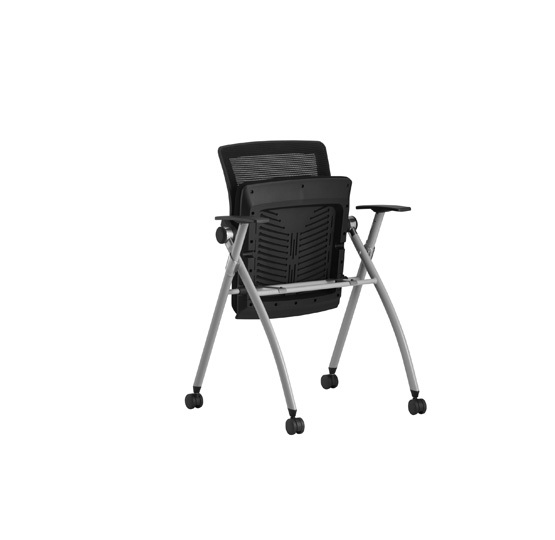 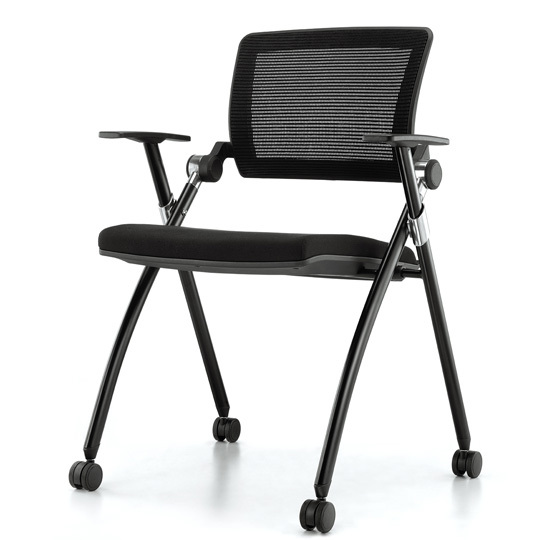 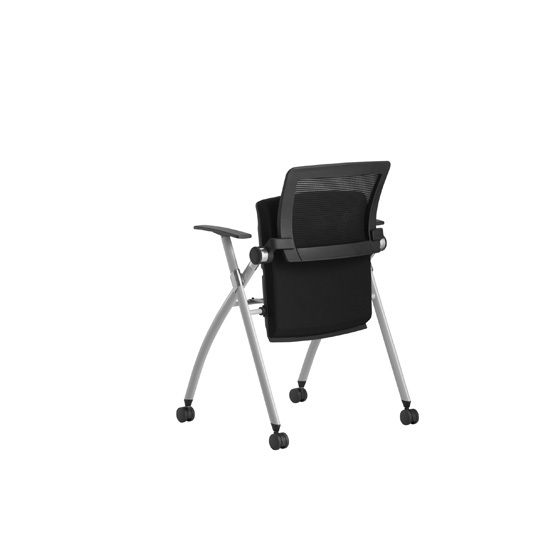 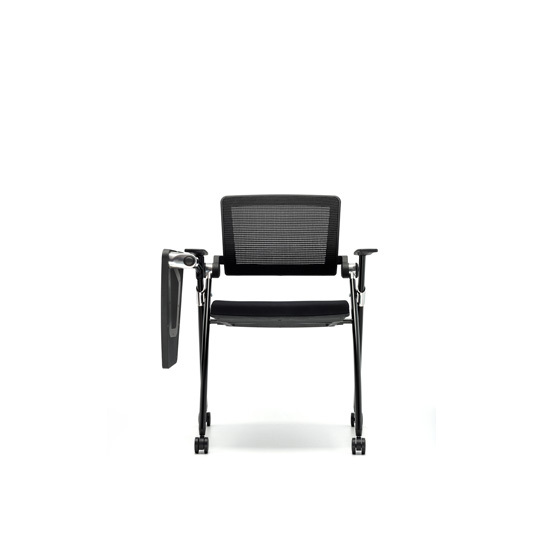 The pivoting mesh with multi angle back adjustment, provides necessary comfort to the user. 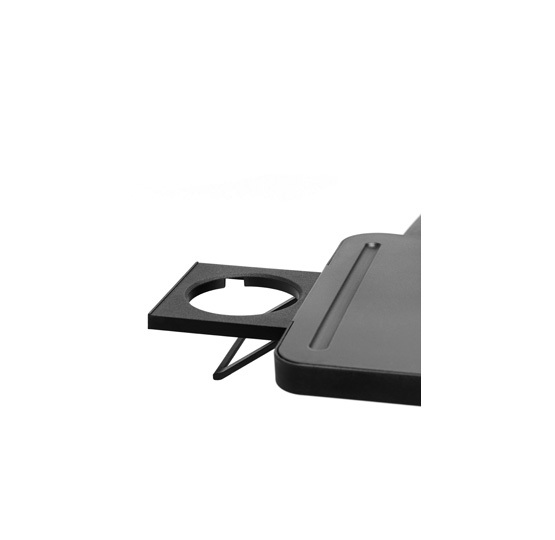 The folded tablet can be rotated upwards from the bottom and then rotated horizontally. 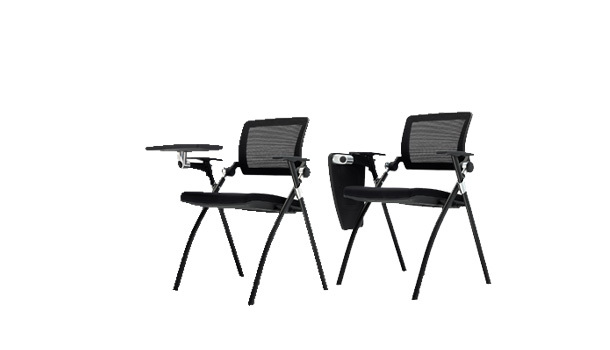 To make full use of public space according to the needs. 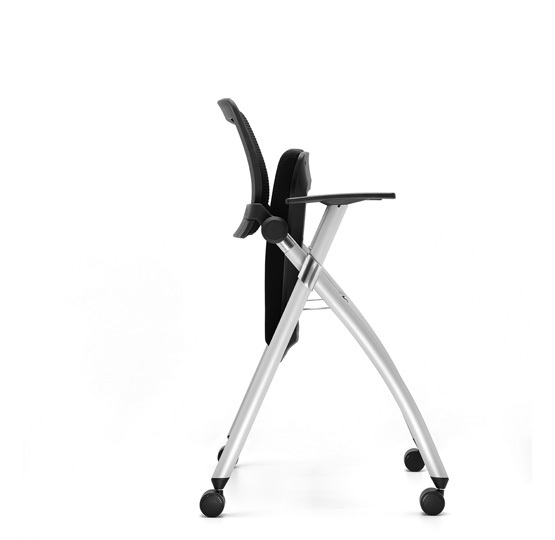 By virtue of its functional design Limber can be stacked horizontally and stored easily without any lifting.